The Portimonense - Moreirense (Football - Liga NOS) match in 29/03/2019 16:30 is now complete. That's full-time at Estadio Municipal de Portimao. The final score is 0 - 2. In Portimao, Moreirense FC push forward quickly but are pulled up for offside. Ruster (Portimonense SC) gets in a header on goal but the attempt is cleared. Free kick for Moreirense FC in the half of Portimonense SC. Can Moreirense FC get the ball into an attacking position from this throw-in in Moreirense FC's half? Portimonense SC have a goal kick. Ruster for Portimonense SC drives towards goal at Estadio Municipal de Portimao. But the finish is unsuccessful. Ball goes out of play for a Moreirense FC goal kick. Joao Pedro Pinheiro signals a free kick to Portimonense SC. Ruster (Portimonense SC) has received a yellow card from Joao Pedro Pinheiro. Fabio Pacheco is replacing Arsenio for Moreirense FC at Estadio Municipal de Portimao. Moreirense FC awarded a free kick in their own half. Goal kick for Portimonense SC at Estadio Municipal de Portimao. Moreirense FC push forward through Lucas Rodrigues, whose finish on goal is saved. Corner awarded to Moreirense FC. Portimonense SC's Wellington Carvalho breaks free at Estadio Municipal de Portimao. But the strike goes wide of the post. Joao Pedro Pinheiro awards Moreirense FC a goal kick. Throw-in for Portimonense SC in their own half. Joao Pedro Pinheiro signals a free kick to Portimonense SC in their own half. Moreirense FC's Ibrahima Camara has been booked in Portimao. Free kick for Moreirense FC in their own half. Portimonense SC needs to be cautious. Portimonense SC have an attacking throw-in. Portimonense SC have been awarded a corner by Joao Pedro Pinheiro. Portimonense SC's Dener goes close with his head but his effort is blocked. Dener (Portimonense SC) gets in a powerful header but the ball is cleared away. Moreirense FC's Chiquinho gets his shot away but it misses the target. The home team replace Bruno Tabata with Wellington Carvalho. Throw-in for Portimonense SC at Estadio Municipal de Portimao. Ivo Vieira (Moreirense FC) is making a second substitution, with David Texeira replacing Heriberto Tavares. The home team have replaced Lucas Fernandes with Ruster. This is the second substitution made today by Antonio Folha. Joao Pedro Pinheiro blows against Portimonense SC's Lucas for offside. 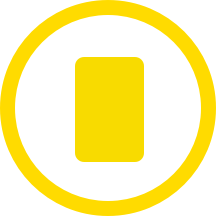 At Estadio Municipal de Portimao, Pedro Sa has been yellow-carded for the home team. Portimonense SC to take a throw-in in Portimonense SC territory. In Portimao a free kick has been awarded the home team. 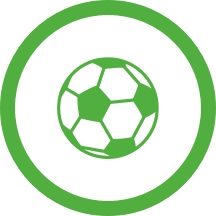 Throw-in for Moreirense FC in the half of Moreirense FC. Goal kick for Moreirense FC at Estadio Municipal de Portimao. Corner awarded to Portimonense SC. Portimonense SC's Paulinho gets in a shot but it is blocked by a Moreirense FC defender. Ivo Vieira is making the team's first substitution at Estadio Municipal de Portimao with Lucas Rodrigues replacing Pedro Nuno. In Portimao Portimonense SC attack through Lucas. The finish is off target, however. Throw-in for Moreirense FC in their own half. Ball safe as Portimonense SC is awarded a throw-in in their half. Portimonense SC's Paulinho breaks free at Estadio Municipal de Portimao. But the strike goes wide of the post. Joao Pedro Pinheiro signals a Portimonense SC throw-in in Portimonense SC's half. Portimonense SC drive forward and Jackson Martinez gets in a shot. Without netting, however. Free kick for Portimonense SC in the half of Moreirense FC. Portimonense SC push upfield but Joao Pedro Pinheiro quickly pulls them for offside. Portimonense SC are coming forward and Bruno Tabata gets in a strike, it misses the target, however. Moreirense FC advance rapidly upfield but Joao Pedro Pinheiro blows for offside. Goal! Heriberto Tavares extends Moreirense FC's lead to 2 - 0. Chiquinho with an assist there. Moreirense FC awarded a throw-in in their own half. Moreirense FC drive forward and Heriberto Tavares gets in a shot. Without netting, however. Portimonense SC drive upfield and Bruno Tabata gets in a shot. The strike is blocked by a Moreirense FC defender. Bruno Tabata (Portimonense SC) gets in a strike but the shot is blocked by a defender. Portimonense SC push forward through Lucas Fernandes, whose finish on goal is saved. Portimonense SC awarded a free kick in their own half. Throw-in for Portimonense SC in the half of Portimonense SC. Ball safe as Moreirense FC is awarded a throw-in in their half. Throw-in for Moreirense FC at Estadio Municipal de Portimao. Portimonense SC are pushing forward but Bruno Tabata's finish is wide of the goal. The second-half is underway in Portimao. 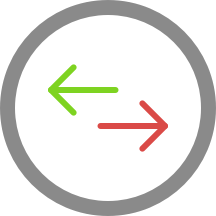 Portimonense SC make their first substitution with Dener replacing Vitor Tormena. Joao Pedro Pinheiro awards Portimonense SC a goal kick. Ibrahima Camara for Moreirense FC gets in a strike but fails to hit the target. Jackson Martinez (Portimonense SC) gets up for a header but cannot keep the ball on target. Vitor Tormena for Portimonense SC has been booked by Joao Pedro Pinheiro and receives a first yellow card. Portimonense SC's Jackson Martinez has run offside. At Estadio Municipal de Portimao, Moreirense FC are penalized for being offside. In Portimao a free kick has been awarded the away team. Can Portimonense SC get the ball into an attacking position from this throw-in in Portimonense SC's half? Joao Pedro Pinheiro signals a Moreirense FC throw-in in Moreirense FC's half. Can Moreirense FC capitalize from this throw-in deep inside Moreirense FC's half? Joao Pedro Pinheiro signals a free kick to Moreirense FC in their own half. Moreirense FC take a 1 - 0 lead thanks to Chiquinho. Great play from Joao Aurelio to set up the goal. Anthony D'Alberto (Moreirense FC) goes for goal but the shot is blocked by an alert defence. Throw-in for Moreirense FC close to the penalty box. Portimonense SC's Lucas Fernandes is on target but unsuccessful. Moreirense FC push forward at Estadio Municipal de Portimao and Angelo Neto gets in a strike. This is blocked, however, by a determined Portimonense SC defence. In Portimao Moreirense FC drive forward through Pedro Nuno. His shot is on target but it's saved. Joao Pedro Pinheiro signals a free kick to Moreirense FC. Paulinho (Portimonense SC) is given an opening but the shot is blocked by a defender. Portimonense SC are too eager and fall into an offside trap. Ball goes out of play for a Portimonense SC goal kick. Moreirense FC have been awarded a corner by Joao Pedro Pinheiro. Angelo Neto (Moreirense FC) gets in a strike but the shot is blocked by a defender. Free kick for Portimonense SC in their own half. Pedro Nuno hits the bar! Very nearly a goal there for Moreirense FC in Portimao. Portimonense SC awarded a throw-in in their own half. Moreirense FC have a dangerous throw-in. In Portimao Portimonense SC's Pedro Sa is caught offside. Joao Pedro Pinheiro signals a throw-in for Moreirense FC, close to Moreirense FC's area. Jackson Martinez of Portimonense SC smashes in a shot on target. The keeper saves, though.